Click the button below to add the Thickening Hair Serum to your wish list. This lightweight serum easily absorbs into the hair shaft to instantly increase the diameter of hair strands, leaving hair fuller and thicker with the first use. Hair can appear thin, flat and limp from losing moisture or from having too much product buildup weigh down your hair. Our Thickening Hair Serum is made with pure plant oils, essentials, and extracts that feed your follicles and hair without leaving heavy, harmful residue on your hair. Our Thickening Hair Serum immediately moisturizes and adds volume to provide a healthy, nutritive shine and bounce to your hair. This product will protect and prevent damage and breakage, allowing for stronger, healthier hair that grows thick and beautiful. Leave-serums moisturizes and soothes dry scalps, strengthens hair, and continuously assists hair follicles. Strengthens against breakage and adds shine with volume. Adds a nutritive and protective barrier for the prevention of heat and damage from styling appliances. Avocado oil is one of the few oils known to have the ability to penetrate hair strands. It deep conditions both hair and scalp and leaves hair full of life. Its proteins help fill in damaged areas in cuticles, contributing to breakage prevention, adding to the appearance of fuller, thicker hair. Hazelnut oil leaves a luxurious, silky feel on hair and is quickly absorbed, leaving no oily residue behind. It also contains nutritive Vitamin E, B, and minerals. 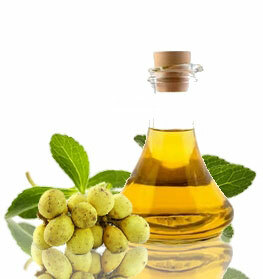 Perilla Seed Oil has anti-inflammatory and antioxidant properties that improve the health of hair and scalp. 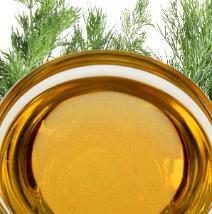 Olive Oil, Coconut Oil, and Jojoba oil moisturize, condition, and revitalize both hair and scalp. Treated and damaged hair regains its lost luster as Sesame Seed oil's deep penetrating properties nourish hair from within, adding more volume. Start with a few sprays in the palm of your hand and rub it into the scalp with your fingertips. Work your way to the ends of your hair. • This product can be used as a leave-in serum. We suggest you apply a small amount into your palm and concentrate on the ends and scalp. • This product can be used as a sealant. After you have used your water-based moisturizer, you can then add this product as a final step to keep moisture in your hair for an extended period. • This serum can also be used as a hot oil product. Please place in a separate container. Heat up a bowl of hot water and let it sit for about 1 ½ to 2 minutes. Once warm, place on freshly shampooed hair and let it sit for about 5 to 10 minutes. Rinse and condition as usual. For maximum results, put on a shower cap to get the full effects of this product. • Try this product with our Vinegar Nutritive Rinse Cleanser. This combo will give you soft, shiny hair that is noticeably thicker. After about four weeks, most people notice increased hair growth. • If you are losing hair and are looking for a shampoo and conditioner, we suggest checking out our Hair Therapy Shampoo and Conditioner. Persea Americana (Avocado) Oil, Perilla Frutescens (Perilla Seed) Oil, Olea Europaea (Olive) Oil, Corylus Avellana (Hazelnut) Oil, Cocos Nucifera (Coconut) Oil, Simmondsia Chinensis (Jojoba) Oil, Aleurites Moluccana (Kukui Nut) Oil, Prunus Avium (Cherry Kernel)Oil, Attalea Speciosa (Babassu) Oil, Sesamum Indicum (Sesame Seed) Oil, Cymbopogon Flexuosus (Lemongrass)Oil, Althaea Officinalis (Marshmallow Leaf) Extract, Citrus Sinensis (Orange)Peel Oil, Salvia Sclarea (Clary Sage) Oil, Cananga Odorata (Ylang Ylang) Oil, Citrus Paradisi (Grapefruit) Oil, Cupressus Sempervirens (Cypress) Oil. This is a nice lightweight serum. If you follow the directions, it will leave your hair with volume and texture. This bottle will last you forever. My caramel blond hair feels moisturized, luscious and healthy. The smell is pretty strong but it goes away very quickly. The body and volume in my hair is incredible. I received this serum as a birthday gift a year ago. The product has been just what I was looking for. I tried using a small amount on damp hair and blow dried my hair. My hair looks so full and voluminous. I could not believe it. I will continue to use this product on my hair until it runs out. I enjoy this serum. It adds noticeable volume. My hair is not greasy nor stiff but very smooth. If you use too much, your hair can get oily. I've got so many compliments on how nice my hair was. I love it so much. My hair looks better than before. SO awesome! It works and you can use it once or twice a week and the results last. It has repaired the damage I had. I love how smooth and shiny it makes my hair. My hair looks healthy, gorgeous and feels great! When I am done blow drying my hair I feel like I just left the salon and mind you my hair has never looked good blow dried, usually I ALSO need a flat iron Shiny, Soft, Shiny, Smooth Did I mention Shiny? My hair is long, thick, slight wave, color treated, slightly coarse. Must Have! My hair is a bit on the thin side so I was in the market for a thickening spray. This serum is great for someone who wants a full blowout. I use this product for my blowouts and this makes my hair massive. I use the smallest amount of product in my damp hair on a low/medium setting to dry my hair completely. Family members ask if I was wearing extensions! I love it and will continue to use it until it runs out. This is a great spray that helps my fine hair become full and voluminous. I use a small amount to prevent greasiness. This serum has helped my hair become healthier and thicker. None of JN products have let down so far. I highly recommend this! This serum works. I have new hair growth around my front hairline. But it has also brought my hair back to life. Growing the new hair will take time but having new life to my hair has been an unexpected bonus.